Our convenient location allows us to offer a wide range of exciting activities. Whether you’re a beginner or experienced, Rinjani Beach Eco resort can cater to your scuba diving needs. Amanda, our resident PADI and SSI Instructor will help you discover the most beautiful sites around the resort or around the Gili Islands, only a 30 minute boat ride away. 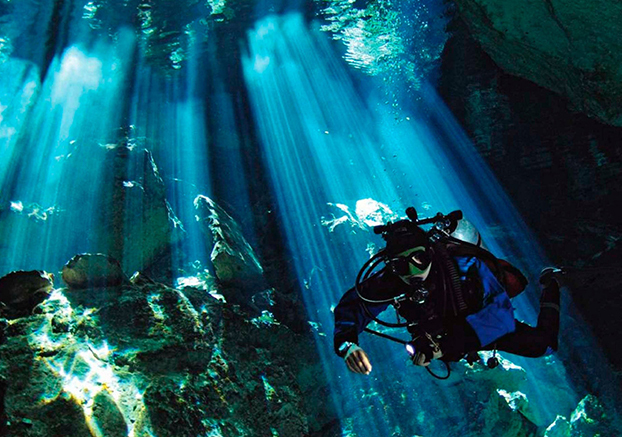 If you are new to diving, we can easily arrange an introduction to diving – before you know it, you will be in the water experiencing the beautiful underwater world ! There are still many unexplored sites, unique spots are plentiful, and the amount of beautiful sites is a real luxury. You might even get the chance to swim with turtles, moray eels, reef sharks, rays … Our seabed is populated by hundreds of marine species. 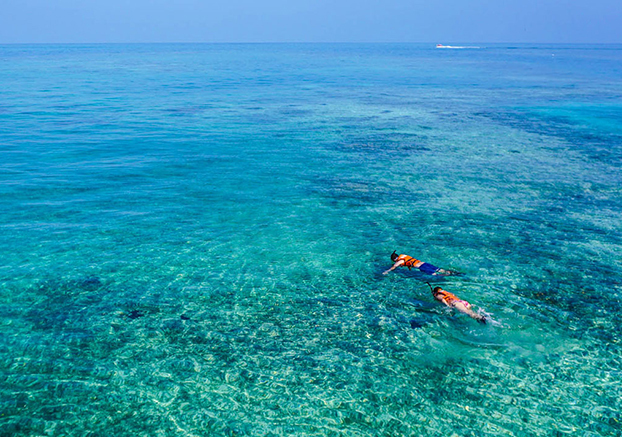 Equipped with a mask and with a snorkel, you can go to make of the snorkeling near the resort or towards Gili islands considered as their crystalline waters populated with a myriad of fishes. 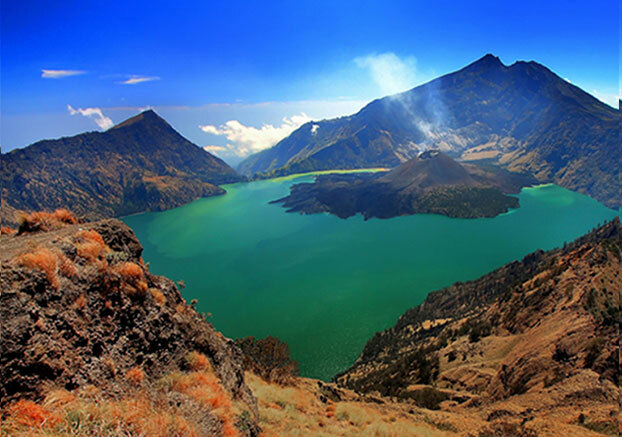 Trekking enthusiasts have the opportunity to discover the Rinjani volcano (with an altitude of 3726 meters). Climbing to the top usually requires 3 to 5 days depending on your physical condition. It is a memorable experience! The view from the top is breathtaking and will leave you with unforgettable memories! You can also choose to hike to Lake Segara Anak which 1800 meters closer! 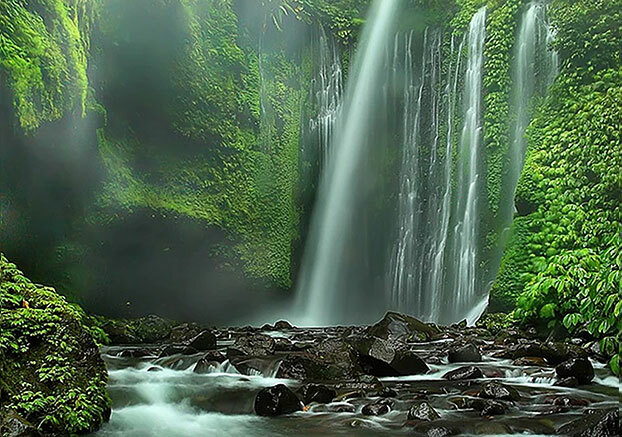 Let’s not forget hiking to the bottom of Mount Rinjani (National Park) with its unavoidable waterfalls , its beautiful fauna and lush flora. 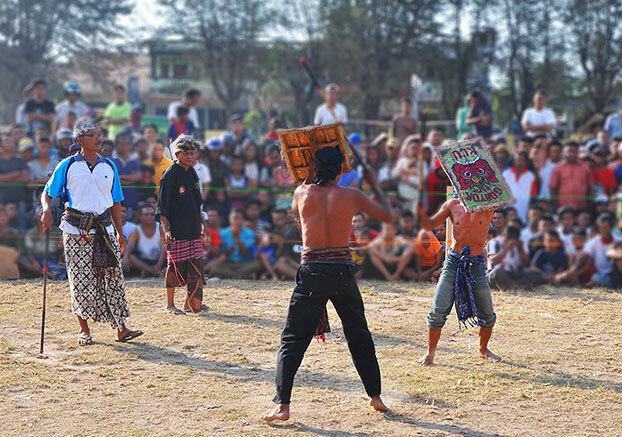 You can also visit the Sasak villages known for their crafts (pottery and sarongs). In 2004 Rinjani won the World Legacy Award and the volcano is recognised internationally as an important eco-tourism destination. 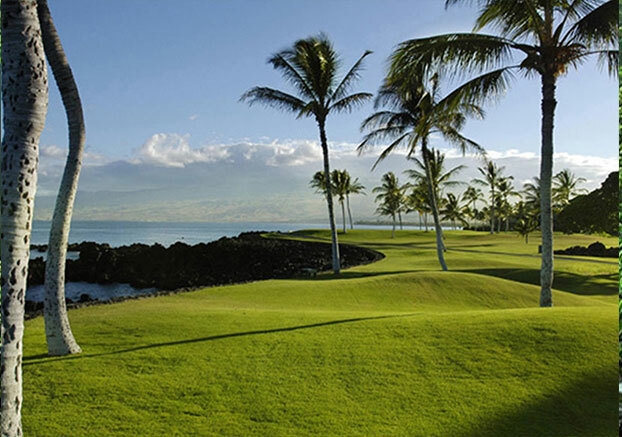 An 18-hole golf course on the seaside with breathtaking views is situated less than 3 km away from our resort. 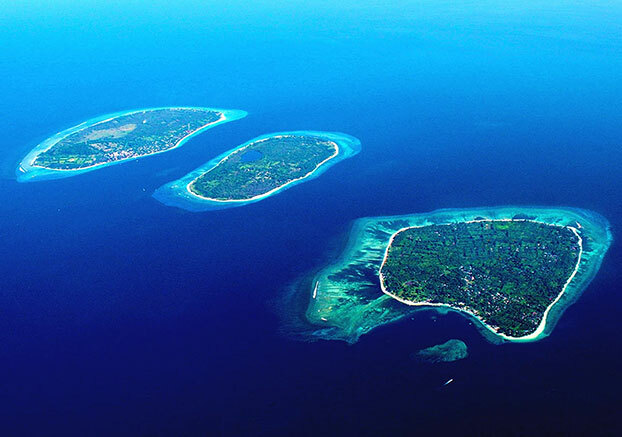 The famous Gili islands (Gili Air, Gili Trawagan and Gili Meno) are known for their crystal clear waters inhabited by myriads of colourful fish. 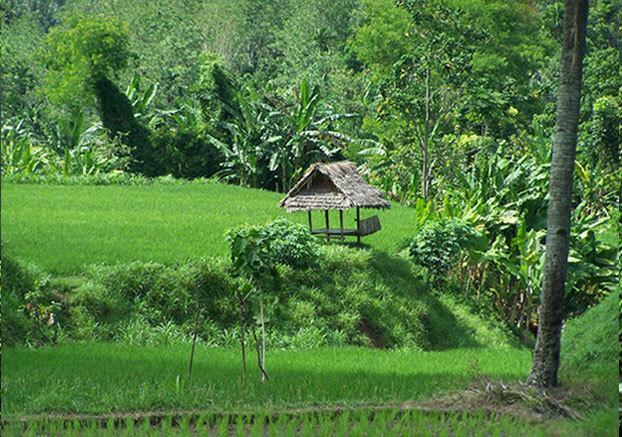 Each island has a distinct personality and day trips from Lombok are easily arranged. Visiter la plus ancienne mosquée de Lombok, faire le tour de l’île, pour voir les fermes d’élevage de perles et acheter quelques cadeaux pour la famille et les amis ou assister aux célébrations des différents villages tribaux. 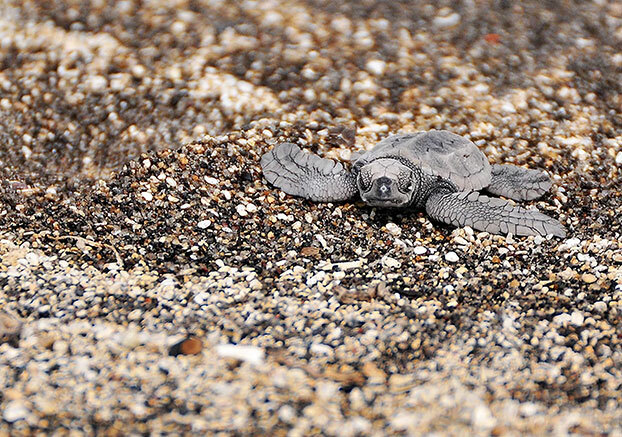 With the desire to play an active role in the massive relocation of corals and releasing turtles in the wild, the hotel now enjoys an exceptional site that allowed us to welcome the birth of thirty babies turtles. Traditional massage aims at reconstituting the balance between the soul and the body. 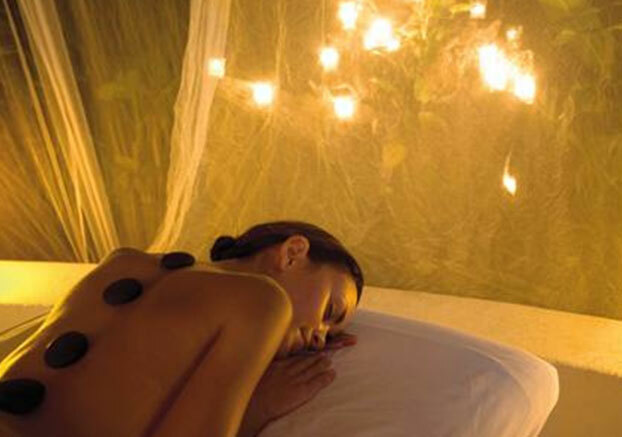 The traditional masseurs use essential oil (jasmine, sandalwood, ginger, cloves, ylang-ylang). It is a complete, at the same time soft and tonic, relaxing massage and an energetics, the massage allows not only to manage usefully its stress, but also to penetrate into his(her) deep being by the meditative work on chakras (crossroads of energy).